I am away in West Virginia with the administrators and Diocesan officials for the annual Administrator’s Retreat. I want you to know that you are in my prayers, even more than usual this week. I love this parish school community and consider all of you part of my extended family. I share in your joys and suffer quietly with you in times of trouble and grief. My prayers are for the health and happiness of you and your extended families. I use the term health to include physical, emotional, spiritual, and social aspects, including simple happiness and freedom from addictions and mental health issues. I pray for more kindness in our world and for greater human empathy, a true understanding of what it is like to walk in someone else’s shoes. Empathy is part of our school’s social-emotional learning goal for this year. Mrs. Angelo, our school counselor, has been talking to students about this important topic of thinking outside of ourselves to the people around us. Often, in my experience, it’s the people who smile and seem to be the happiest who are struggling with the most serious issues. They have simply chosen to be happy rather than miserable. We will be continuing to spread empathy and joy throughout our school. I ask that you join me in making this a priority in your families. Kindness matters! Our world needs so much more of it. Your children are kind and gentle and tolerant. We need them to spread that love and acceptance outside of our building. I pray that you are all treated kindly today and every day, and that you all know there is always someone there for you if you need them to be. 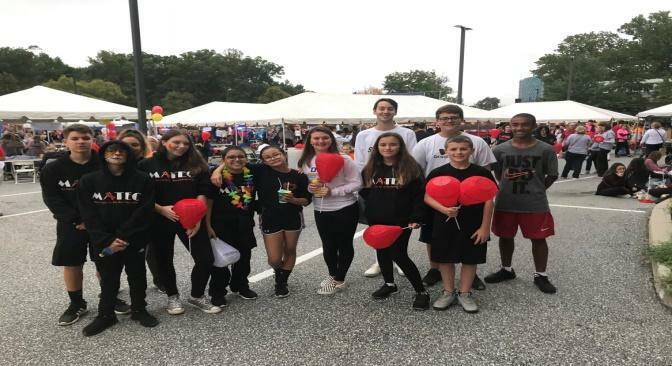 As a counselor for 20 years prior to this role, I was often told by teenagers and young adults that it was the kindness of one singular person who saved them from depression and even the decision to end their own life. You are never alone at St. Anthony’s. You have a strong faith and a huge group of supporters in your corner. I personally felt that when my son was sick. So, I simply wanted all of you to know that I am always here for all of you. You are never alone! I will be praying for all of you and will see you all next week. Re-registration Reminder – Please send in re-registration forms as soon as possible. By sending in your registration, we are able to plan a budget for next year, including staffing. Thank you to those who have sent them in already! Congratulations to our March Students of the Month! 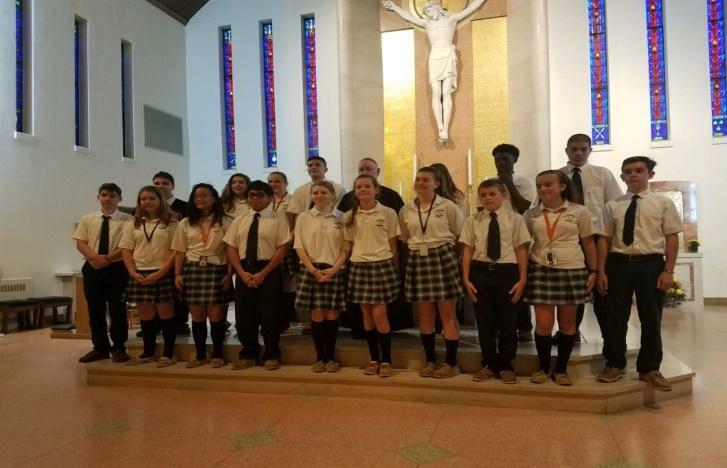 March’s virtue was “honest.” Congratulations to Sarah Lin (PK3), Macklyn Neff (PK4), Ryan Neal (K), Amber Matarese (1st), Ella Cruz (2nd), Rocco Priest (3rd), Christopher Wooden (4th), Jhaki Carty (5th), Angel Rizzo (6th), Arianna Marchione (7th), and Josh Nebrao (8th). Way to go! Please check our Facebook page to see a picture of these students. Please join us every Friday at 2:00 P.M. for the Stations of the Cross in the Church. The children do a beautiful job reading the Stations. If you are unable to join us in the afternoon, consider coming to Via Crucis on Friday at 7:30 P.M. in the Church. It is a wonderful live reenactment of the Stations of the Cross. Many of our students, both current and former, partake in this wonderful tradition. Designer Bag Bingo – Come join us for Designer Bag Bingo on Sunday, April 7th at 1:00 P.M. Doors will open at 12:00 P.M. Ticket price is $25 for a set of 20 bingo games and 1 raffle ticket. NO ONE UNDER THE AGE OF 18 IS PERMITTED. For more information, please contact Giovanna Ortiz at (302) 685-0211 or GTO91408@gmail.com. The annual Parish Easter Egg Hunt will be held on Palm Sunday, April 14th, after the 11:00 A.M. Mass (approximately 12:30 P.M. start time) in the Ballad Room of the Grade School. We will have three age categories: infant to age 2, ages 3-5, and ages 6-10. A prize basket will be awarded for each age category for the participant who finds the egg containing a “golden ticket”. We’ve also been told the Easter Bunny will be able to stop by and say hello and pose for some pictures with everyone! Enjoy the full array of delicious refreshments offered at parish socials including Serpe’s donuts and tomato pie, Degnars’ breakfast pizza, and much more! Please RSVP with the number of children, children’s names and ages, and a contact phone/e-mail by Thursday, April 11th. Please RSVP to Anthony Albence via e-mail to cua20064@aol.com or via phone to (302) 983-3200. (Please leave a voicemail with information if there is no answer.) Please include child(ren)’s name, age, parent’s name, and email/phone number in your email or voicemail. ALSO RETURNING THIS YEAR: The annual Scholastic Book Sale will be open during the Easter Egg Hunt. This is a perfect place to pick up an educational Easter gift that will also help our school! Please be sure to follow us on Facebook! If you haven’t followed us yet, look for St. Anthony of Padua Grade School Families, Alumni & Friends. This past Wednesday, the entire school celebrated Mass together for Ash Wednesday. Even the littlest Tiger received ashes. The season of Lent is seen as a somber time in the Church when we prepare for Jesus’s death. In Father Rinaldi’s homily he spoke about why most people give something up for the 40 days of Lent. It is to remind us that our body shouldn’t tell us what to do, God should. Just because our brain/heart/stomach is telling us we “need” that item, doesn’t mean we actually do. As humans, we will always avoid things that bring us pain or displeasure and look for what gives us happiness. We should remember that God’s love for us is the greatest happiness we can find, even when God’s love causes us pain. The greatest sign of love for Catholics is Jesus on the Crucifix. Jesus died for our sins because He knew it was the right thing to do and even though the right thing doesn’t always feel good, it is always the best choice for us. Congratulations to our February Students of the Month! February’s virtue was “loyal”. Congratulations to the following students: Skyler Garret (PK3), Keeley Ferraro (PK4), Wen Wen Chen (K), Nah’la Queen (1st), Cate Sargent (2nd), Jessica Garcia (3rd), Shane Palmer (4th), Faye Kelleher (5th), Andres Lorenzo (6th), Julian Arters (7th), and Chelsea Lam (8th)! Way to go! 8th Grade Spaghetti Dinner – Join us on Friday, March 22nd in the Ballad Room for the 8th Grade Spaghetti Dinner from 4:00 P.M. to 8:00 P.M. The cost of the dinner helps to fund the 8th Grade trip to New York City. On Wednesday, March 13th, is a noon dismissal. There will be NO AFTER CARE. On Wednesday, March 27th, all Diocesan Schools will be closed for teacher professional development. Students will have the day off. Please plan accordingly. Skate Night at Christiana Skating Center is Wednesday, March 27th from 6:00 P.M. to 8:00 P.M. Come out and join us for a fun night! Happy New Year! I hope everyone had a terrific break and enjoyed the time with family and friends. Today at Mass, Father Rinaldi reminded the children that whoever possesses the Son of God has life. He said that if we have Jesus in our minds, hearts, and souls, we will have him forever. He defined “life” as people: our mothers, fathers, teachers, friends, and teammates are all life. Sometimes we think “life” is sweets or toys or video games. Those things are nice, but life is the people we have. Through people, we give and get life. Our life is a treasure to other people, and they can be a treasure to us if we welcome them. Life is not just the people in this world, but also those above this world, the people who have become saints in Heaven. Father Rinaldi also said to have Jesus in our hearts is to be someone who prays. Prayer can be formal or it can also mean simply talking to Jesus throughout our day, telling him we need help with things, and asking him to help us stay out of trouble. He reminded us that we should be asking Jesus to help us stay focused, to help us be serious, and to help us help our parents and others. Father reminded us to always keep talking to God and to be kind to everyone. Life can be hard, and we should try to help make it easier by simply being kind and helpful. It was a sweet message. Our music chosen today by Mr. Colligan also reminded us that the Lord made this day and every day, and that we should rejoice and be glad in it. Let’s all try to help spread joy and remember that Jesus is in every person. As the Christmas season comes to an end, let us be a gift to others. Reminder: There is no school Monday, January 21st in celebration of Dr. Martin Luther King, Jr. Day. Contacting School Staff – Please contact the main office, teachers, and administration via telephone for any transportation changes, genuine concerns, and especially in an emergency. Email is never a reliable source for such communication. Teachers are not required to check email during the school day, as they are teaching. If you need to reach a teacher, please call the main office. The teacher will receive the message much faster. I may not see my email for an entire day, so please contact the office, and I will return your call as soon as possible. St. Anthony’s Open House – Our Open House for potential new students is Sunday, January 20th from 12:00 – 3:00 P.M. Please spread the word! You are our best marketers. I genuinely believe that this school is the best choice for any child/family who desires a Catholic education in a safe and family-friendly environment. I feel blessed to be able to work in a school where we have been given the best of everything we have ever asked for (as faculty and staff) and where the children are kind and loving. My adult children still say that St. Anthony’s was the best time of their lives. They did not realize at the time how much fun they had with the lifelong friends they made here at this school. Their best friends are still the friends they met here. Congratulations to our December Students of the Month! 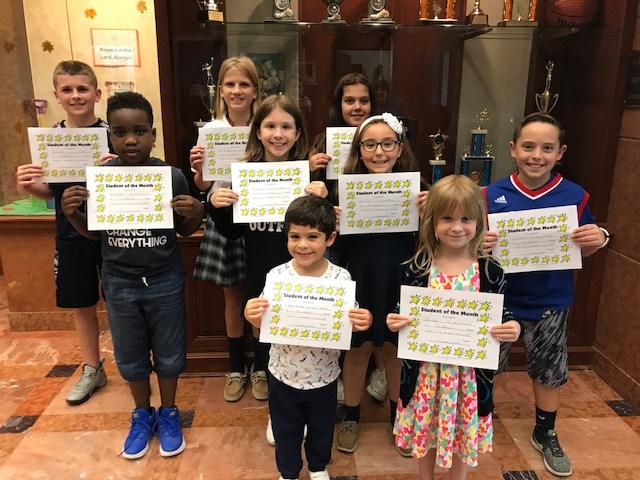 December’s virtue was “respectful.” Congratulations to our respectful students: Stella Caesar (PK3), Keeley Ferraro (PK4), Tyler Cross (K), Noel Pulliam (1st), Mason Carroll (2nd), Lilliana Stellini (3rd), Riley Winfield (4th), Lakeves Laws (5th), Sirriya Cruz (6th), Eva Pellegrino (7th), and Makenna Sarver (8th). Keep up the good work! Check out Facebook page to see the picture of December’s Students of the Month. Thank you to Mr. McMillan! – Thank you, Mr. McMillan, for all you do to keep our technology moving and progressing. He is currently working to train Mrs. Gaspari, our Art teacher, and a few older students on the use of our two new 3D printers. They are researching 3D Printing curricula and learning some fun things to create for our students. School Closings – In the event of a school closing, a Facebook post will be made immediately. (Please follow us!) We will send out a School Messenger notification next, and the school website will be updated as well. In the event of a school closing due to snow, students are aware of the Cyber Snow Day protocol; particularly Middle School. Don’t let anyone fool you! All work from a snow day is due one week after it is assigned, so please allow them to actually enjoy the snow day if they get one. Let them play, make memories, and have fun! Cafeteria Reminder – Please be sure to send in a lunch for your child every day or order on the lunch menu, submitting that menu with payment on the date it is due. The cost of lunch is kept low due to planning and preordering. If your child has charged a lunch, please pay the next day. If you or your child know they will need to order lunch, please either send a note to the teacher or have your child notify the teacher. This gives Ms. Michele a “heads up” when it comes to lunch time. We occasionally have 10-15 students order lunch without a menu or any notification to teacher or Ms. Michele. Please know that food is prepared for each lunch, based on the menu items ordered, with a few extra items. If your child did not order the lunch from the menu, there will be a limited menu to choose from. It typically includes a cheese sandwich, hot dog, or soup. After Care Reminders – Please be sure to sign students out in the Main Office and walk down to pick up your student. This is a two-way safety check point. Simply walking downstairs to get them or simply signing them out is not safe. Please follow our established procedures and please be prompt! Please remember, After Care closes at 6:00 P.M. every day, unless otherwise noted. Friday, February 2nd – 8th Grade vs. Parents Volleyball Game in Fournier Gym at 1:30 P.M. Admission to the game is one canned good which will be donated to the St. Patrick Center. Shout out to the Wilmington Police Department! – Thank you for a surprise visit this week and for sharing their K-9 officer, Exo, with our students at recess. Exo and his partner, S/Cpl. Andrew Conine, entertained the crowd. They will be returning to do a demonstration this month. This week and every week, we thank our Wilmington Police and all members of law enforcement, for protecting and serving us. School Spelling Bee: Our school spelling bee will be held on Thursday, January 24th at 2:00 P.M. in the Gym. Winners of the classroom spelling bees from Kindergarten to 8th Grade will compete. Each grade will have completed their classroom bees by next Friday. Please be sure to follow us on Facebook! I realize we have repeated this information many times, but Tiger Talk communication is only bi-weekly. See all of the exciting things that are happening with your children on a daily basis. Teachers submit pictures to me, or I try to catch fun lessons in action. If you haven’t followed us yet, look for St. Anthony of Padua Grade School Families, Alumni & Friends. Today at Mass, Father Mark read the Gospel story from Matthew of Jesus healing the blind men and warning them not to talk about what he had done. But of course, these men went and told of the gift they had received. During his homily, Father talked about how this is a time of year when we think of boxes, bows, and ribbons and the gifts waiting for us in those boxes , when we should be thinking about how we can share the gifts that God has given us and how we can be gifts to others. St. Ambrose, whose feast day we celebrate today, used his gift of leadership to lead the people when he was bishop of Milan. Let us all try to recognize the gifts of God in ourselves and in others. We have entered the season of Advent and at school we are all eagerly “Anticipating His Arrival.” Our Student Council officers came up with this theme for Advent and you can see it throughout our school building. On Monday mornings, we gather for a prayer service in the morning. This is a wonderful way to start our week during this hectic season. ANGELS/SHEPHERDS NEEDED: The Christmas Pageant for the 7:00 P.M. Mass needs angels and shepherds. Practices are Wednesdays from 3:00 – 4:00 P.M. Please contact the Main Office if your child is able to join this wonderful event. Congratulations to our November Students of the Month! Our theme for the month of November was reverence. 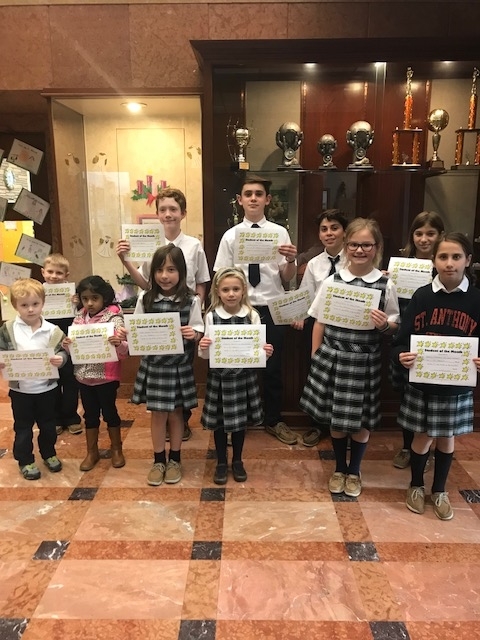 Congratulations to Jack Turner (PK3), Rose Chakkalakkal (PK4), Giuliano Arcaro (K), Gabrielle Krevchuck (1st), Celeste Scarpato (2nd), Nora Farrell (3rd), Anastasia Tsatsaronis (4th), Delaney Patterson (5th), Liam Hannan (6th), Connor Quinlan (7th), and Michael Brelick (8th)! Good job! Thank you to Anthony Frabizzio, one of our parish trustees! Anthony is a huge supporter of our school. He runs Nona Strada Cafe at the festival, which raises a lot of money to be donated back to our school. Most recently, after our Digital Classroom dedication, Anthony offered to purchase the 3D printers we wanted. Thanks to Anthony’s generosity and kindness, we now own two 3D printers. Mr. McMillan is currently working to add them to our network. We are so excited to create and innovate! Thank you, Anthony! Thank you to everyone who donated to our annual Thanksgiving Food Drive! We collected almost 730 pounds of food. The donated food was split between the St. Patrick Center Food Bank and the parish’s Christmas basket program. Thank you for your generosity! The class with the highest rate of participation was the 7th Grade class. As a reward for such generosity, they received a popcorn and movie afternoon. Save the date for Sunday, December 9th! Our Christmas Bazaar has returned! Join us from 9:00 A.M. until 3:00 P.M. More details will follow. Check this out on Facebook as well. Santa’s Secret Shop – Next Tuesday and Wednesday, Santa’s Secret Shop will be open for students to purchase gifts for family and friends. Each class has a scheduled time to shop. If your child misses their time, they will get a chance to go at the end of the day on Wednesday. A flyer with more information was sent home on Wednesday. Please be sure to look over the information so you know the day your child is scheduled to shop and can help them write a list of who they are shopping for. Thank you! Home and School Gift Card Sales –Home and School will continue to sell gift cards throughout the month of December. You can order online until 5:00 P.M. on December 16th. Online orders will be available for pick-up in the lobby on December 21st. Gift Cards will also be available for purchase every Friday morning in the school lobby, Sundays after the 11:00 A.M. Mass in the church vestibule, on December 9th at the St. Anthony’s Christmas Bazaar, and on December 21st (the day of the Christmas show) in the school gym. Congratulations to the following alumni who have updated us on where their lives have gone since they graduated from St. Anthony’s. If your child has an injury/illness, they may need special accommodations in school, and an adaptation to the dress code. Examples may include: wearing a cast, sling, brace, boot, or special shoe (all footwear must be secure on the foot), using crutches, or any issue requiring a medical excuse from gym class or recess. If this is the case, please send in a note to school from a medical provider so that we have guidelines to follow for their care. Your child’s safety is our number one concern. Thank you for your cooperation. The upcoming month is very busy, so we are including a list of December events for you. Please be sure to like us on Facebook to see all the pictures, videos, and news of events. This will also be the quickest way to find out information during inclement weather. December 10th – Advent Prayer Service – School Lobby – 8:00 A.M.
Student Council Meeting – 5th Grade – 3:00 – 3:30 P.M.
Teachers will be there from 4:00 – 7:00 P.M.
December 17th – Advent Prayer Service – School Lobby – 8:00 A.M.
December 18th – 8th Grade Field Trip – Christmas Show/Lunch – 8:30 A.M. – 2:00 P.M.
Christmas Show – Gym – 10:00 A.M.
We hope you will be able to join us at these events. The Christmas show is always a favorite. The next Tiger Talk will be on January 11th. I hope you have a blessed, safe, and happy Advent and Christmas season.